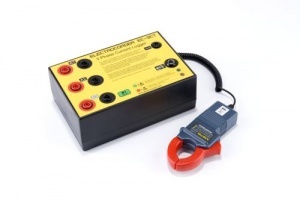 The Electrocorder range is designed to allow cost effective monitoring of as many as three load currents up to 400Aac. Designed to be accurate at current levels from 4A to 400A, to allow monitoring of light commercial, small industrial, farms and domestic/residential loads. This product will allow single and 3 phase loading and balancing problems to be highlighted quickly. 2014: Now called CT-3A-RS with selectable 0.5A to 60A or 4A to 400A ranges. NOTE: For larger loads, we recommend the EC-3A range which are designed for 400A+, 1kA, 2kA, 3kA, 5kA or 10kA maximum input per phase. Enables current and load problems to be highlighted and investigated. Allows users to accurately record load currents up to 400Aac. Three current input channels (A1, A2 & A3). Records IAVG, IMAX and IMIN on all 3channels. Data stored in non-volatile memory. Memory capacity of 32,000 (true RMS) values per channel (10 bit), up to 75 days continuous recording. 2–10A < 5% of reading. 11 – 50A < 3% of reading. 51 – 400A < 1% of reading. Kit includes: logger, case, Electrosoft software, three ‘current transducers’ & USB lead.